I have recently discovered via Twitter the wonderful Mud and bloom. Having two very keen gardeners and slightly feral children anything that encourages and keeps them busy outside is a winner to me. 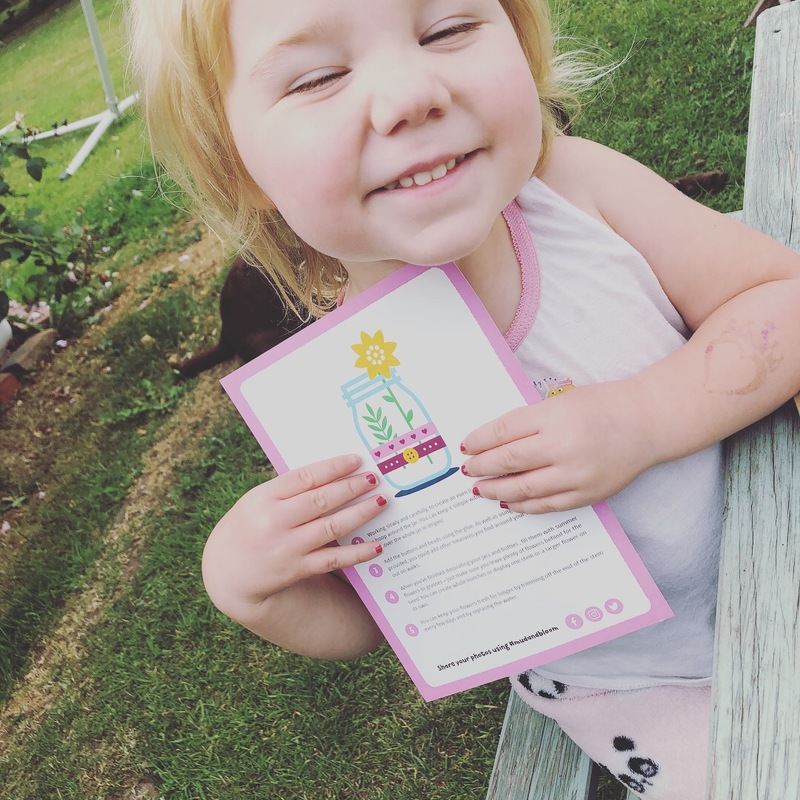 Mud and bloom works by sending you a new box each month. The boxes are for children aged between 3-8 although my son at age 9 loved it too so I don’t think it has to stop at 8. Each box will be delivered through your letter box. Each box includes everything you need for two seasonal activities, I love the idea that the activities change via the seasons. 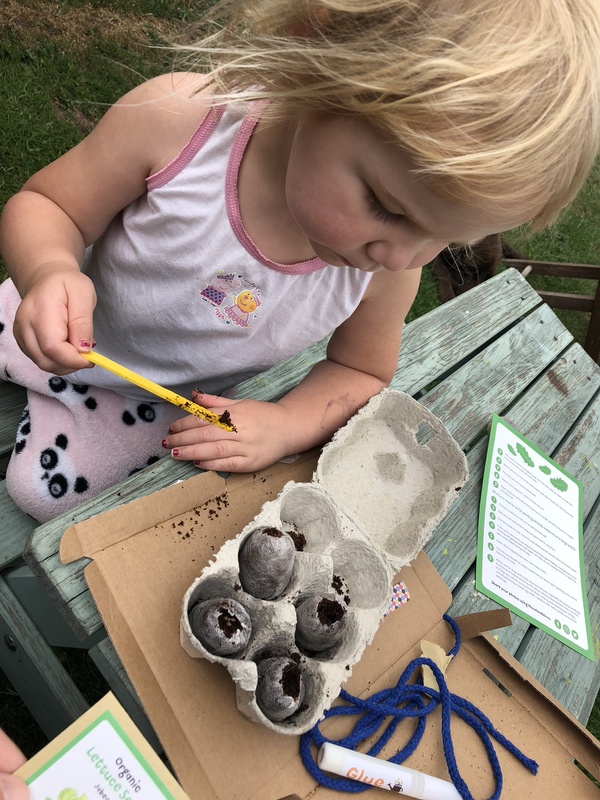 One activity is gardening Based and one is nature craft based – along with instructions, quizzes and games aimed at teaching children about the seasons, plants, insects, birds, soil and rainfall. 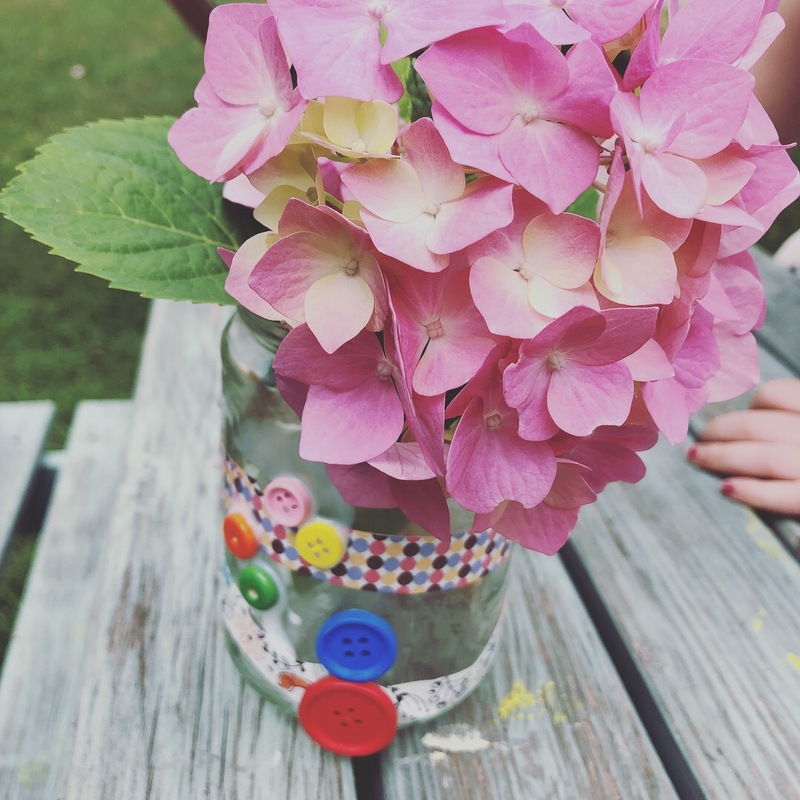 Activities have been created by teachers and they support the national curriculum with influence from Forest school (that we are great supporters of), Steiner and Montessori education. We had the box for July sent to us. I let Matilda (age 3) choose what she wanted to do first and in true Matilda style she wanted to get busy with the glue and sticker so we started with making the vase. Instructions for every activity were clear and easy to follow. 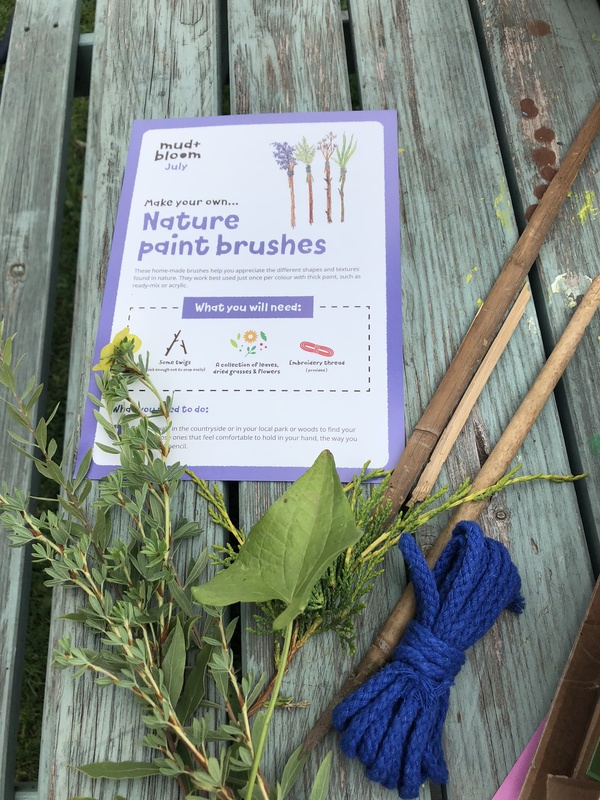 After the vase we moved onto making natural paintbrushes. I sent Matilda off to gather sticks and fallen flowers. I tied them up but rather than using as paint brushes she preferred to use as wands. We then moved onto planting. Again the instructions were easy to follow and we have yet to see the results but I’m expecting some great lettuce and radishes. 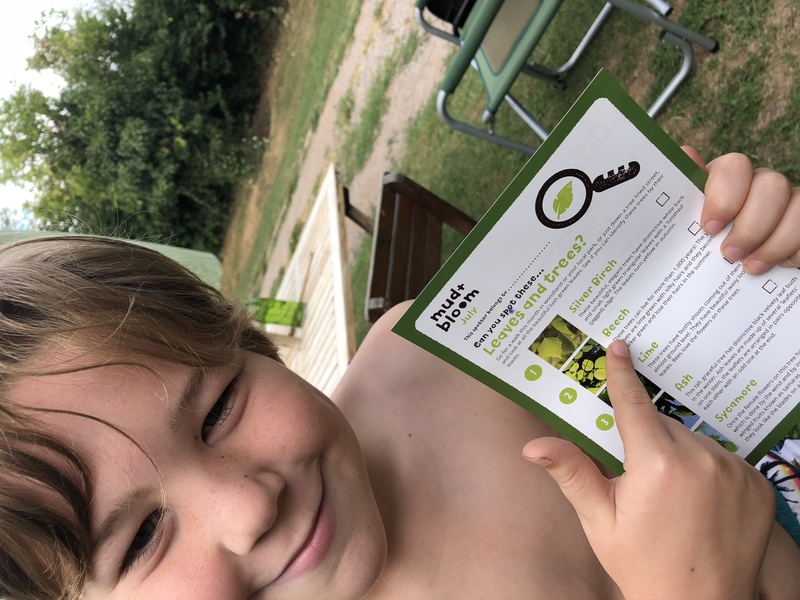 Dylan enjoyed the looking for the trees and leaves on the nature hunt card. He also had a go at making the brushes and is in charge of watering the lettuces so let’s see how well they grow! We were gifted the July box to review, but would happily subscribe as I love the ethos behind it and of course the product. To subscribe visit www.mudandbloom.com and quote EATHBASEDFUN to get 15% off your first order. Thank you for this lovely review! I’m so glad you liked the box!